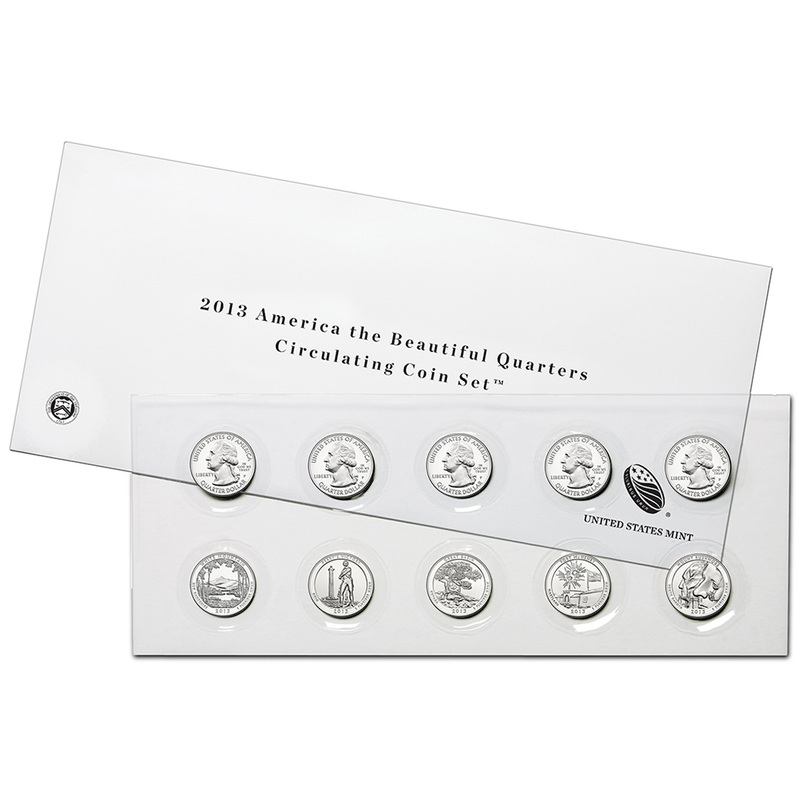 The United States Mint today, November 21, 2013, releases the last 2013-dated America the Beautiful Quarters® Program product with the debut of the 2013 America the Beautiful Quarters Circulating Coin Set™. 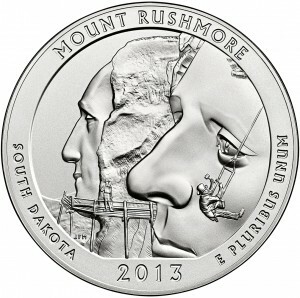 Today, November 19, 2013, the United States Mint will release the 2013 America the Beautiful Quarters Three-Coin Set™ – Mount Rushmore National Memorial. 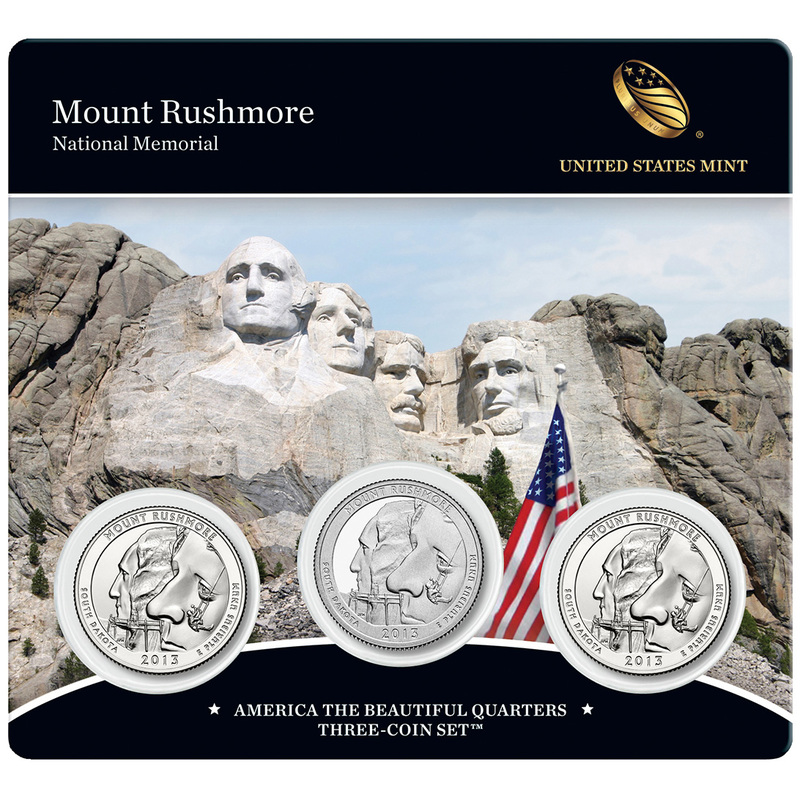 This set contains three Mount Rushmore National Memorial Quarters each showcasing the same basic designs including a reverse emblematic of the national memorial located in the state of South Dakota. Today, November 4, 2013, the United States Mint releases the last 2013-dated strike of the America the Beautiful Quarters® Program. 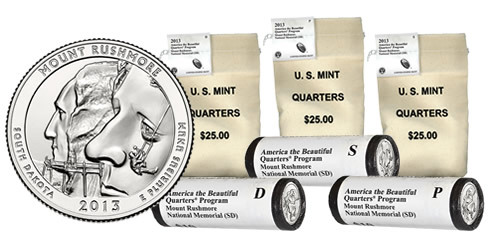 Beginning at Noon (Eastern), buyers will be able to purchase rolls and bags of circulation quality 2013 Mount Rushmore National Memorial Quarters directly from the US Mint. 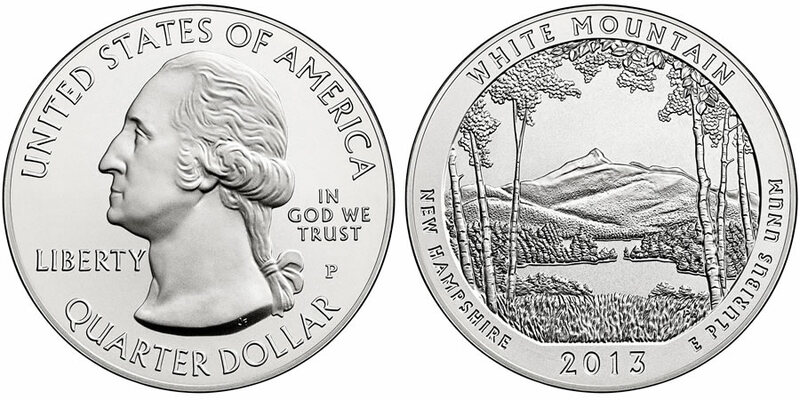 Buyers looking to purchase a 2013 White Mountain Silver Uncirculated Coin from the United States Mint are now out of luck. The US Mint indicates that the strikes are sold out. 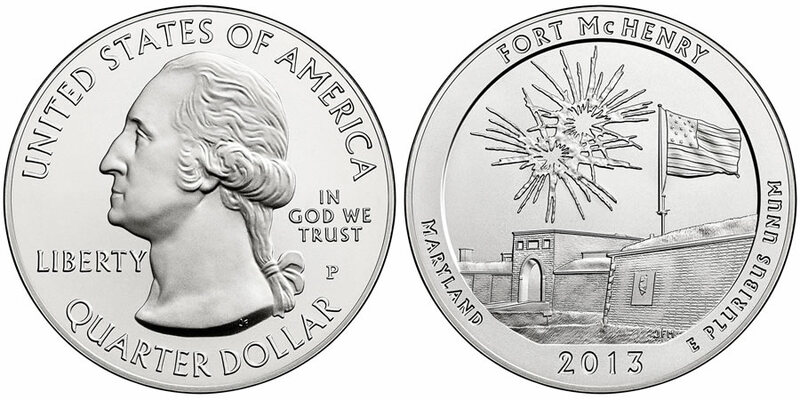 An official release ceremony for the Fort McHenry National Monument and Historic Shrine Quarter has been scheduled by the United States Mint. 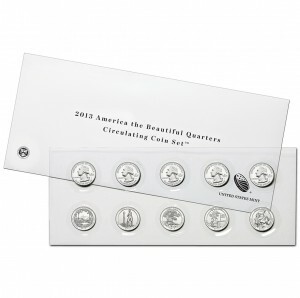 Along with the traditional speeches likely to be given, a coin exchange is also planned. 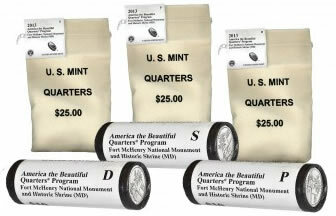 Available now from the United States Mint are bags and rolls of circulation quality 2013 Fort McHenry National Monument and Historic Shrine Quarters. 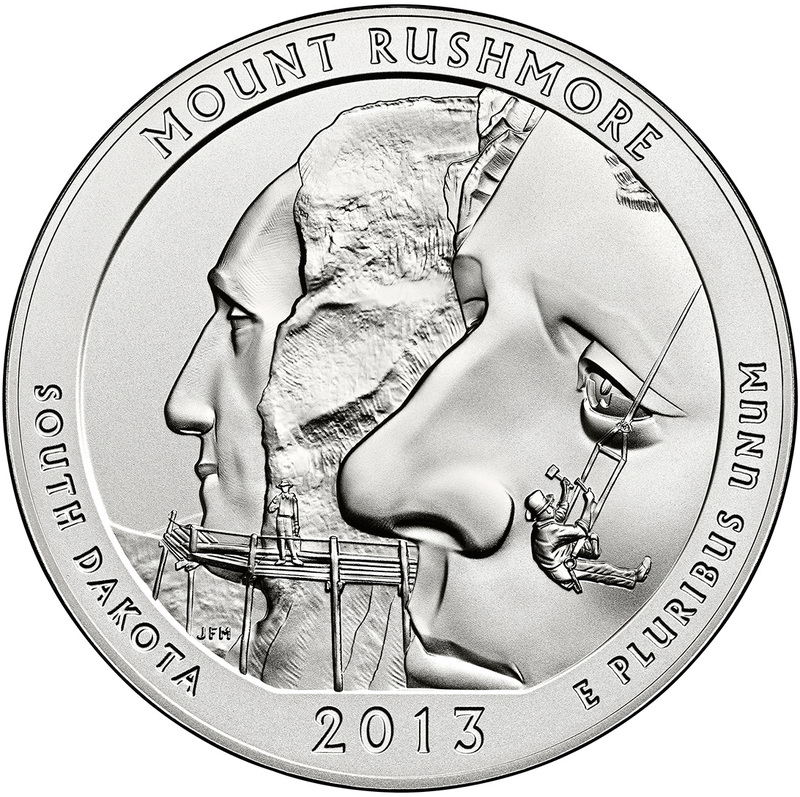 These new products were released from the US Mint beginning at Noon (Eastern) today, August 26, 2013. 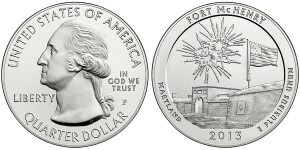 Shown on the reverse of each Fort McHenry Quarter is a design emblematic of Fort McHenry National Monument and Historic Shrine which can be found in the state of Maryland. 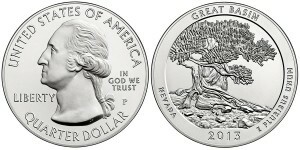 The coins are issued as the fourth 2013-dated strike of the Mint's America the Beautiful Quarters® Program and the nineteenth in the series overall. 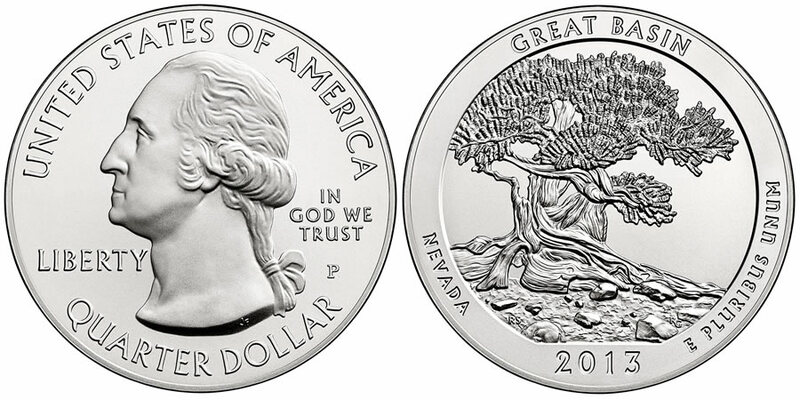 Available beginning today, July 25, 2013, at Noon (Eastern) from the United States Mint is the 2013 Great Basin Silver Uncirculated Coin. 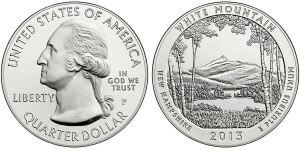 This coin is issued by the US Mint as the third 2013-dated strike of the America the Beautiful Five Ounce Silver Uncirculated Coin™ series.